Mud puddles be damned, white boots are white hot! Impractical? Maybe. In style? Absolutely! Fashion editors, models and bloggers have been ruling the streets at New York Fashion Week in white boots. From 90s inspired white Doc Martin's to high shine white patent leather booties, the styles are aplenty and the ways to wear them are even greater. When paired with men's inspired inspired suiting a dash of pink adds in feminine flare. White boots are taken up a notch when they come with a metallic heal like these white boots with rose gold heel. White patent leather ankle boots infuse a mod vibe to current styles. At New York Fashion Week this show goer paired hers with a bright handbag and teddy bear coat for warmth. 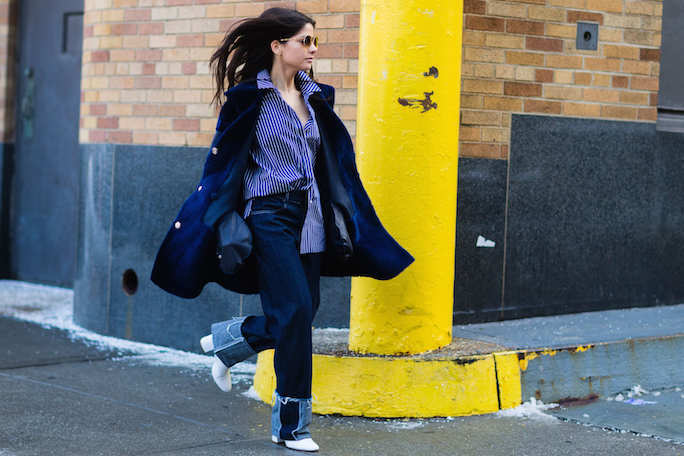 Running between shows at New York fashion week looks like a breeze when wearing low heeled white booties and wide legged denim. Fashion editors know that white sneakers aren't the only white shoe you need in your closet this season. 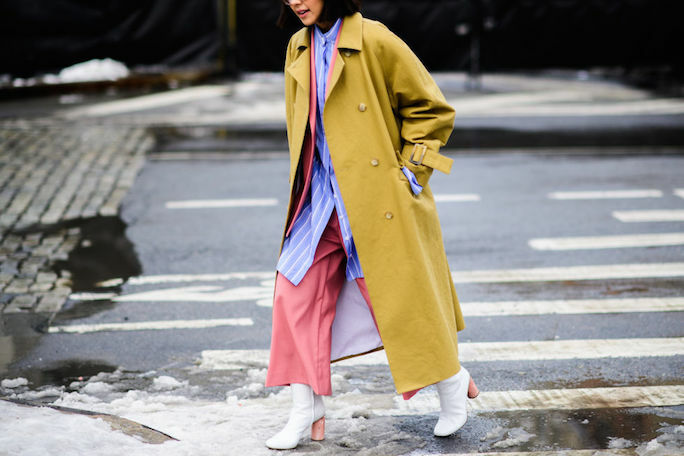 At NYFW fall/winter 2017 Vogue staffers paired their white chelsea boots with a midi dresses and skirts and warm coats to meld winter and spring styles. 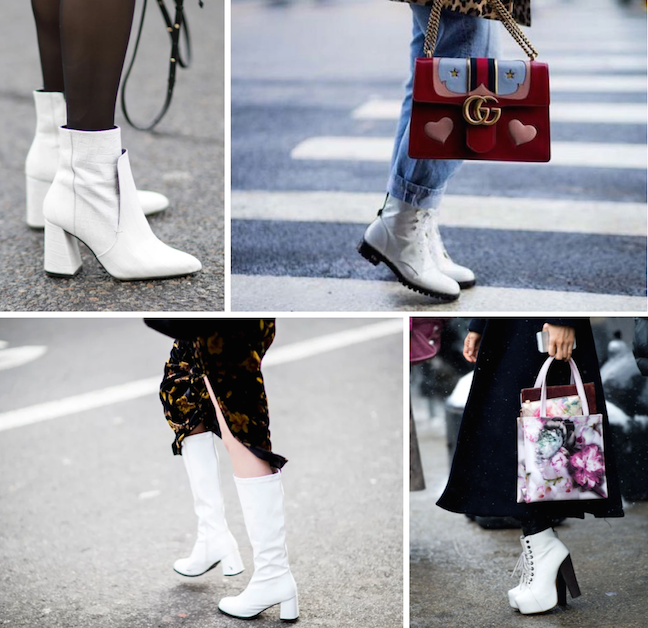 White heeled boots are the perfect transition boot when the weather starts to warm. Make like this fashionista and pair them with a red skirt and and black turtleneck for a head turning look. Last but not least and my personal favorite way to wear white boots: Pair your white ankle boots with ripped jeans and a classic white shirt for a look that is equal parts chic and rock'n'roll. Brilliant outfit I like it.Stunning.